Big Centre TV outlines what it plans to offer viewers from 28th February. Vintage ATV/Central soap Crossroads headlines the opening night of the new local TV channel for Birmingham, Solihull, Walsall, Wolverhampton and the Black Country. Big Centre TV, broadcasting on Freeview and YouView channel 8, launches this Saturday, 28th February at 6pm, blending the new with the old, on air daily from 7am through until midnight. It boldly proclaims to showcase "local stories with a global reach". On its opening night, a vintage episode of Crossroads - famous for its wobbly sets, but watched by over 15 million in its heyday - airs at 7:30pm. The soap is followed by a special programme revisiting those who made the Crossroads what it was. Programmes focusing on musicians in the region and coverage of a local ice hockey game follow later in the evening. Crossroads will then air in a regular slot through the week. Freeview and YouView channel 8: in Birmingham, Solihull and The Black Country area (Sutton Coldfield/Brierley Hill transmitters). For a coverage area map click here. Covering the latest from across the region, flagship news show "The Midland", will provide updates throughout the day. The news team is headed by former ATV/Central ITV presenter Bob Hall. In a statement issued by the channel ahead of its launch, Big Centre TV says it has put together "an ambitious schedule of programming which includes local affairs, sport, children’s programming, entertainment and music. "The schedule showcases Big Centre’s commitment to local programming with a series of shows being created for the channel, including: The David Hamilton Show, Brummywood-Yammywood, The Bostin’ Bear Club, and WASSIFA." Looking backwards in time, The David Hamilton Show on Tuesday nights sees David and a host of celebrity guests take a look back at the history of TV in the Midlands, remembering the TV themes and stars from the region’s shows of yesteryear. Back in the current day, film critic Carl Jones will talk about the latest developments on the silver screen, as well as showcasing the works of independent TV and filmmakers from across the West Midlands in Brummywood-Yammywood. WASSIFA is a Caribbean family music show, which Big Centre TV is producing in partnership with South and City College Birmingham. "The passion and creativity that exists in the West Midlands has allowed us to create a schedule that provides a balance of entertainment and news that reflects the diverse audience of the region. "It has been very exciting working with the programme developers to create the shows for Big Centre TV and we are delighted to provide the platform to give life to some amazing programmes and showcase fantastic stories from across Birmingham and the Black Country." CuppaTV – a show about health, fitness, lifestyle and raising a young family. Extra Time – a sports chat show discussing the region’s teams across a variety of sports. Land Rovers Live – a programme that celebrates the history of one of the world’s most iconic vehicles, and shares in the adventures and achievements of Land and Range Rover owners from across Britain, Europe and around the world. Sports Legends – coverage of Bowls knockout tournament featuring the best players from the local area and further afield. Soundcheck – a new Midlands music show, which will showcase latest bands and the best talent that the region has to offer. Crossroads is not the only classic soap to appear on local TV in the UK. STV's city TV stations for Glasgow and Edinburgh both feature former ITV daytime stalwart Take The High Road. 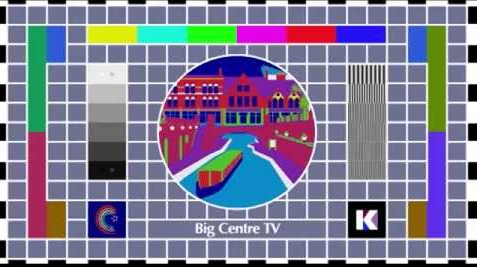 Big Centre TV goes on air just over three months after obtaining the local TV licence for Birmingham from Ofcom, following the previous licence holder's slide into administration.